WELD-TECH is the exclusive Distributor of Westfalen products outside Germany. 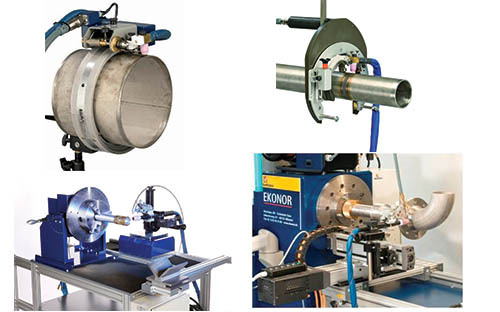 Westfalen is manufacturing automatic TIG-welding machines and internal clamps with purging. The Unique design of the welding machines and internal clamps gives the possibility to weld flange-bend, flange-pipe and pipe-bend. This combination can reduce the fit-up and welding time with up to 40 %. For stationary welding of flange-/formed part joints (pipe rotating). 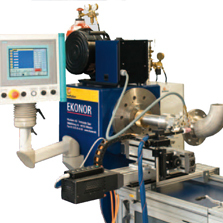 The PANTHER pipe welding system drastically reduces overall manufacturing times, with improved seam quality and a root free of tempering discoloration. Up to 5 mm wall thickness in one layer, without seam preparation. 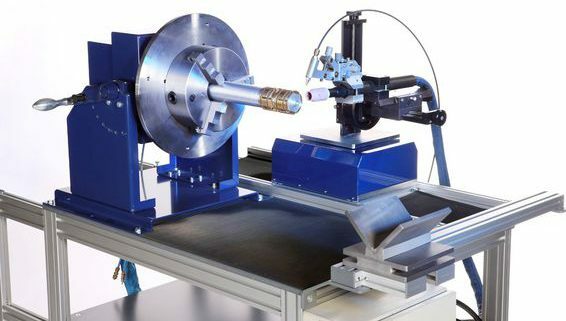 The entry-level model of the pipe-welding machine. Can be combined with internal clamping device, cold wire, AVC and oscillation. The user-friendly EKOTRON control is used. data documentation and transmission possible. For welding of various pipes and form part connections. 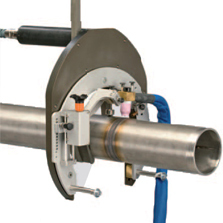 Orbital welding using our mobile orbital head is economical, and will produce a reproducible high seam quality. The patented part seam welding process widens the fields of application for the classic orbital welding to material thicknesses of up to 5 mm in one layer, without seam preparation and extra wire. For welding of various pipes and form part connections (burner turner). For ring technique, the same welding head may be used for all generally used pipe diameters. 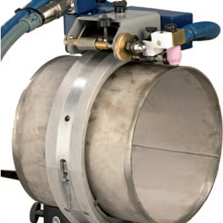 Particularly for big diameters from DN 200, this technique offers significant benefits. Also, a reproducible high seam quality is attained.